Amorphophallus titanum, commonly known as titan arum or the corpse flower. 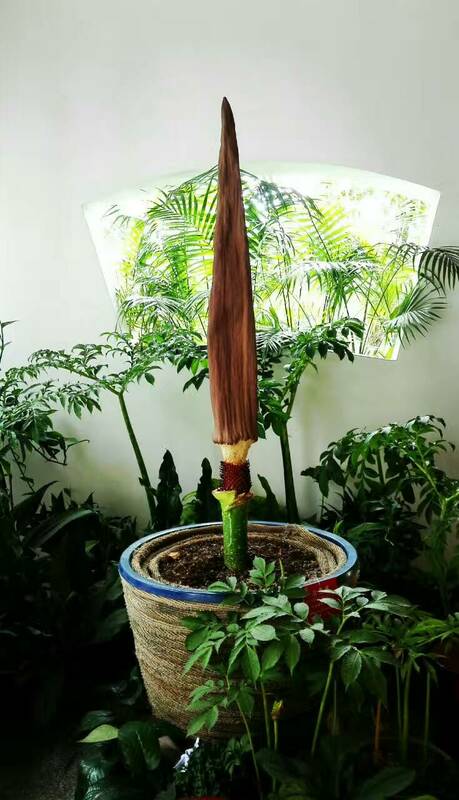 Xishuangbanna Tropical Botanical Garden (XTBG) witnessed on Tuesday a once-in-a-decade event as the giant corpse flower bloomed. The unique Amorphophallus titanum, commonly known as titan arum or the corpse flower, opened its inflorescence quickly, leaving visitors with jaws dropped, and perhaps, nostrils closed. The corpse flower is one of the largest and rarest flowers in the world. “It usually takes seven to ten years for the flower to gather enough energy to bloom from seed. It maintains its full form for about 24 hours, with peak bloom lasting from 6 to 12 hours.” said WU Fuchuan, a horticulturist at XTBG. Few of the titan arum plants exist in cultivation, and they bloom only rarely and under just the right occasions. 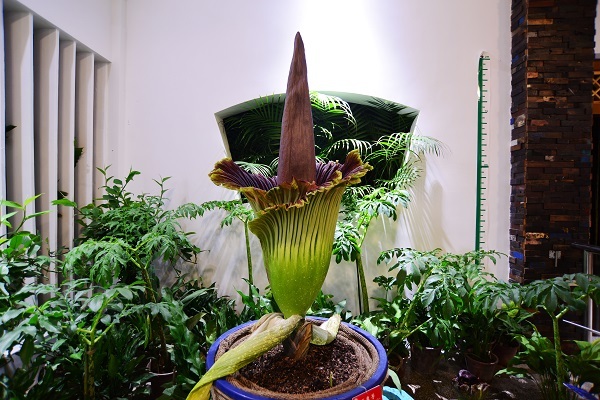 It is the first occurrence that the corpse flower comes to bloom in XTBG since its founding in 1959. 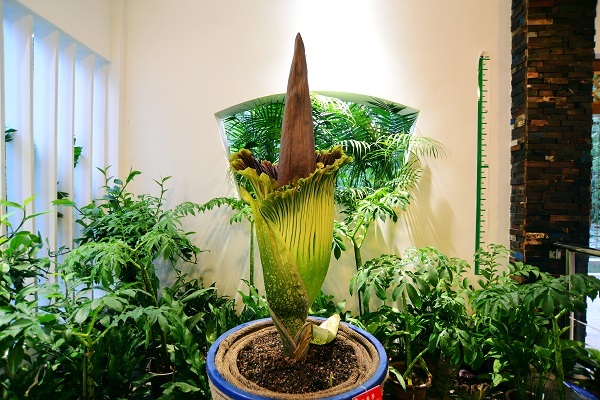 On the extremely infrequent occasion that a titan arum comes into flower, numerous visitors came to the garden to experience the site and smell of the corpse flower. The gigantic flower reached up to more than two meters in the garden. “The flower is very large and it is amazing to see the bloom. But it really stinks. 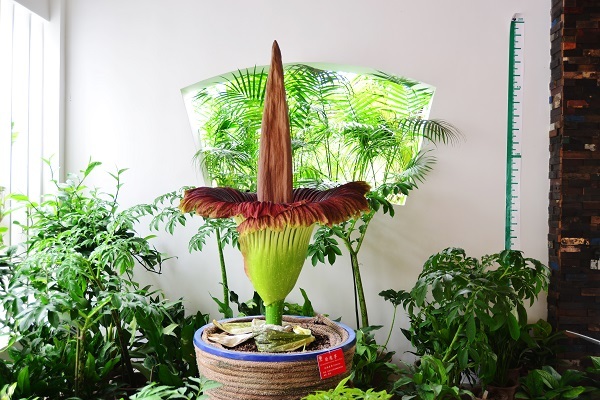 The “fragrance” is like rotten meat”, said visitors observing the corpse flower. “The color of the flower is also like meat”, said another visitor. Titan arum is in the Aroid family and is a giant among plants, with a massive flowering structure that rises about 3 meters above the ground. Its flowering is rare and unpredictable.